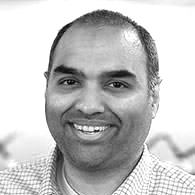 Swaroop Sham is a Senior Product Marketing Manager for Security at Okta. His main focus areas include Multi-factor Authentication, Adaptive Authentication, and Security Integrations. He recently joined Okta, bringing with him over 10 years of experience in cybersecurity. He previously worked at Sift Science, Proofpoint, FireEye and F5 Networks. Swaroop has a Master's and Bachelor's degree in Computer Science. Malware often gets top billing in mainstream news reporting of cyber-threats. It makes for snappy headlines and a compelling narrative—–but it’s not the whole story. Increasingly, organizations are finding customers exposed to malware-free account takeover attacks, which could result in serious data theft. Biometric authentication — using the unique biological characteristics of an individual to verify their identity — has been around since the dawn of humankind. How Secure is Your VPN?